Free Skin Cosmetics Pasma Flawless Finish at 12pm EST! Be one of the first 500 people to fill out this form at 12pm EST to score a free full-sized Skin Cosmetics Pasma Flawless Finish! Skinn Cosmetics Plasma Flawless Finish. 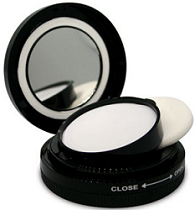 Pat on this micronized silicone primer to tamp down shine, hide pores, and keep makeup in place.